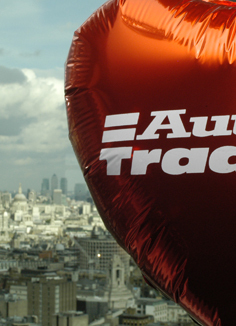 As part of our role, Gecko Communications advised Autotrader to undertake its first ever CSR (Corporate Social Responsibility) campaign. We chose Whizz-Kidz to be the company’s charity of the year, presenting a programme to raise £10,000. The CEO was so impressed with the project that he secured an initial donation of £30,000 from the Guardian Media Group board (they own Autotrader). However, through cover price Cause Related Marketing and in-magazine promotions, as well as staff fundraising activities in all their UK offices (including sponsored walks, raffles, final hour payroll giving and taking part in the charity’s Big Blue and Yellow Week) the company eventually gave a donation of £120,000 – in excess of 10 times the initial proposed donation. CSR activities are a great way to raise awareness of a brand and get a fantastic feel good factor too!